I just finished up with a UK Tour we did around Britain, and what a time it was! The man James Woodsy Woods decided to set up this tour so we could go shred around his home country, and show us a good time! We started our trip off by flying into the Glasgow airport, where we met up with the crew and drove about an hour to the Bearsden Dry Slope. This was my first time on a dry slope! They don’t get a lot of snow in the UK, so instead they build hills with a bunch of slippery plastic on them. They also put jumps and rails on them. It was such a cool experience going there and skiing something completely out of the ordinary, and all of the kids watching were stoked!! After a great night in Bearsden, we got up early and headed to the next stop, Castleford! It took us about five hours to get there, but we kept ourselves entertained! 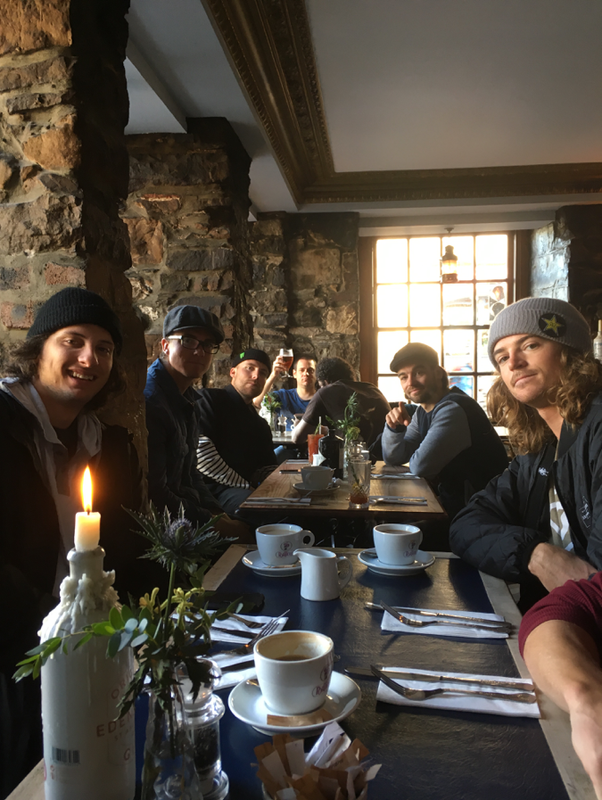 We stopped in Edinburgh on the way for a classic Scottish breakfast. 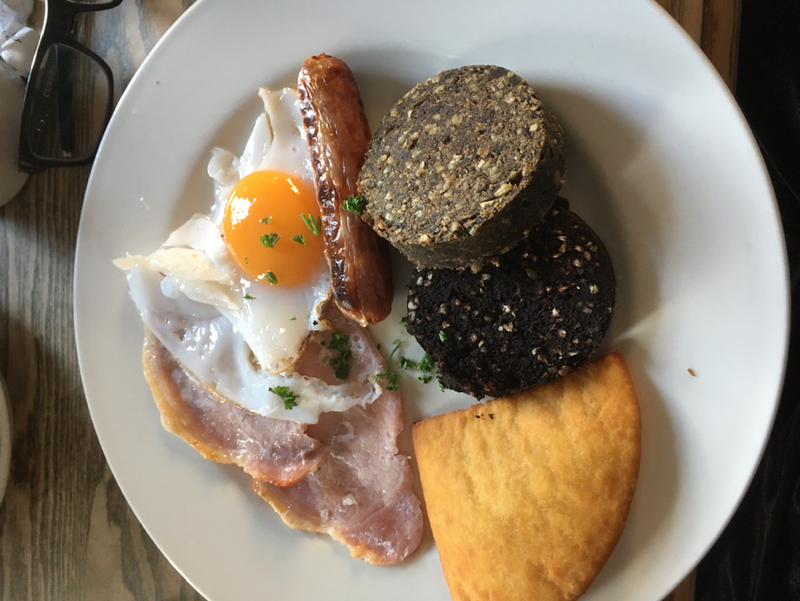 We decided to try out the one that came with Haggis and black pudding, which is basically intestines and blood, among other things, smooshed together into a round looking thing. Needless to say, it was a bit…different…but we got through it and the glass of scotch helped to wash it down! Hah! This next stop we were skiing on snow (which was a bit of a relief…hah! ), but this was also my first time skiing in an indoor arena! When we first pulled up to the parking lot of a shopping mall, I was a bit confused! The indoor ski arena was inside of it, which was so crazy to me! It was crazy having it be warm outside the door and then walking into this place and it being so cold that I had to but on my winter coat! Again the kids were stoked to have us there, and the indoor skiing was really unique and fun! Next up was Tamworth! 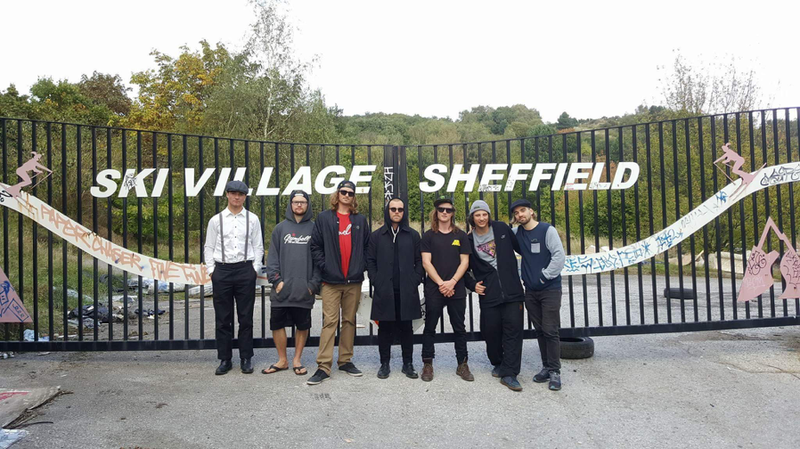 This was a couple hours from Castleford, but on the way we got to stop in at Sheffield, the town Woodsy grew up in! It was really cool being able to meet some of his lifelong friends and also stop in at the Nottingham House, one of his favourite pubs to have a pint! 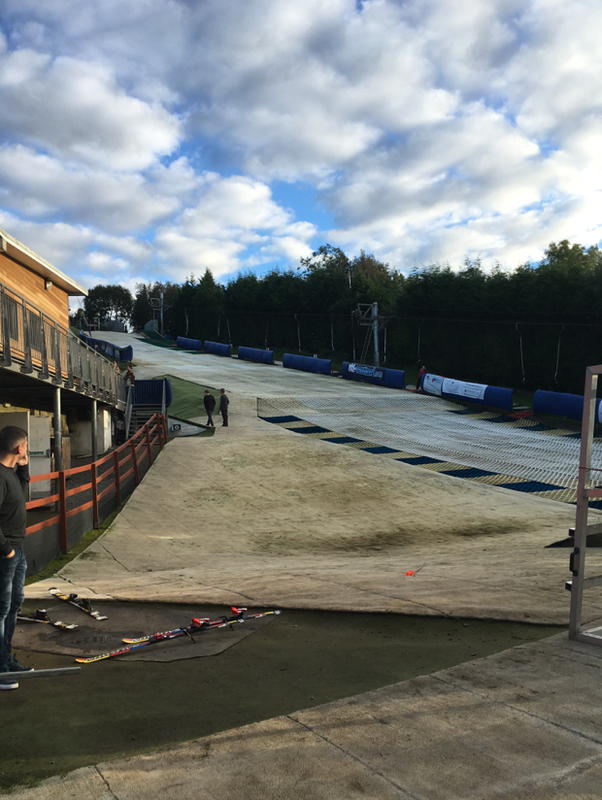 After we had a nice lunch and a drink, we were shuttled over to the Sheffield Ski Village Dry Slope, where Woodsy learned to ski! Unfortunately about four years ago the entire place was burnt down in a fire, and all that is left are remnants of what used to be a fun place. It was still really cool being able to explore and see what used to be around! When we made it to Tamworth, we did the same as the night before and suited up to go shredding with the kids! Last but not least was the final stop in London! There was no skiing this time but instead just a bit of exploring and hanging out with the crew! Overall it was such a great experience and I was stoked to be apart of it! Big shout out to Woodsy for putting on a great time! Stay tuned for a video of the trip coming soon! !